It is a gorgeous day here and I’ve just spent over 2 hours dealing with my email inbox and updating the Waiting List. We have a record 26 people waiting for puppies and I’m trying to be as efficient as possible in my communication with you all. I have compiled all of the info you’ve shared, and I think I do have an accurate and up to date listing of color, gender, and timeline preferences for each person/family on the waiting list. After posting the videos of Justyne’s blenheim male, several new people responded, but I am waiting on 2 people on the waiting list to let me know if they want him, or they are going to pass. I will announce here what is happening regarding that adorable pup. The next litter that I will be putting in the spotlight will be Jesse’s litter of 5 sable/white puppies. There are 3 girls and 2 boys, and we will start puppy selection with them very soon! Here is a sneak peek! Obviously, there are only 5 pups and that list is much longer than 5 people, but I never know what people are going to do when it comes down to choosing time, so this is everyone that wanted a male or female sable/white puppy this summer. 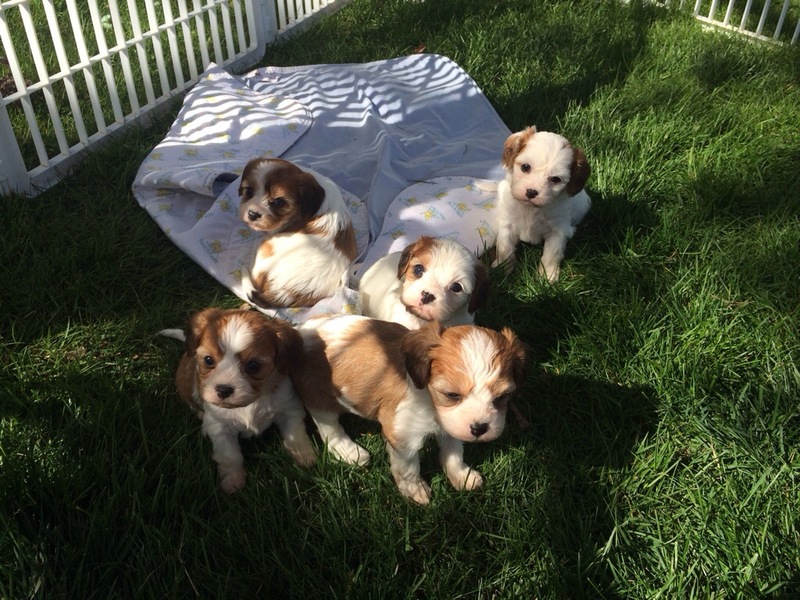 Jesse’s puppies will be ready for new homes May 24-30 for 8 week old puppies, and June 28-July 4 for Accelerated Puppies. We are also able to keep puppies for more than 8 weeks and less than 13 weeks, but there is a $100/week Accelerated Puppy charge for the extra time we keep them here. If these times don’t work into your timeline for a Jesse puppy, please kindly let me know you want to pass on this litter. Upcoming puppy selection after Jesse’s litter will be Sadie’s litter, which is 3 black/white female puppies, then Roxy’s litter with 6 pups (2 girls, 4 boys). We also have 2 pregnant girls so there should be new puppies in May and June as well (which would go home in July & August). I’m hoping giving these details now will help everyone start preparing for bringing a puppy home and that I will get clear responses when I do the upcoming puppy selection videos. I will still be working within the structure and order of the waiting list, but I need to hear from you after Puppy Selection videos are posted, or I will simply move down to the next person. Email me if you have questions. Please do not leave a comment in the blog. I need all my communication in emails to again, keep things as streamlined and efficient as possible. 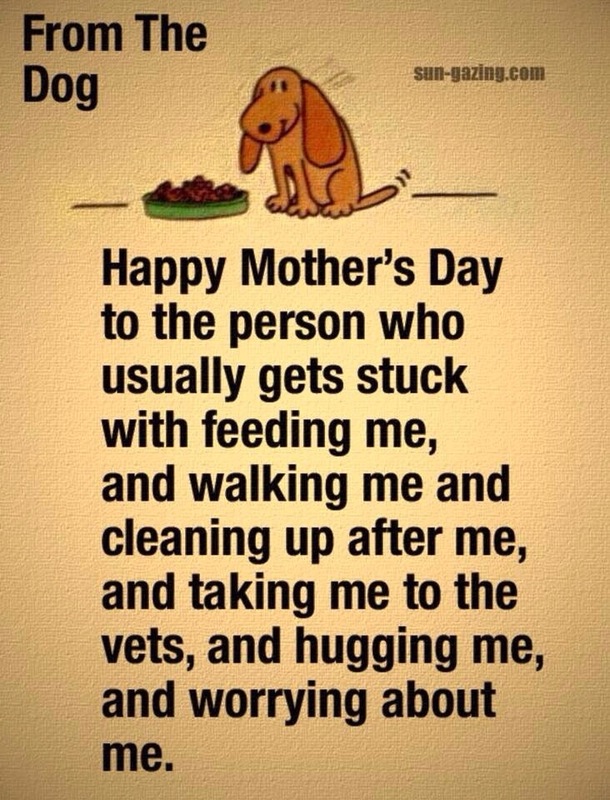 And finally, Happy Mother’s Day!! Has someone requested this Blenheim male puppy? Yes, he has a forever home and went home today. Yes, he went home this past weekend.